Barcelona is a major city busting with life, history, art and architecture. It is not possible to cover all the places of interest in a brief survey article. However, discussed below are some of the more popular attractions. (The Basilica de Sagarada Familia abd the work of Antoni Gaudi are discussed in a separate article. 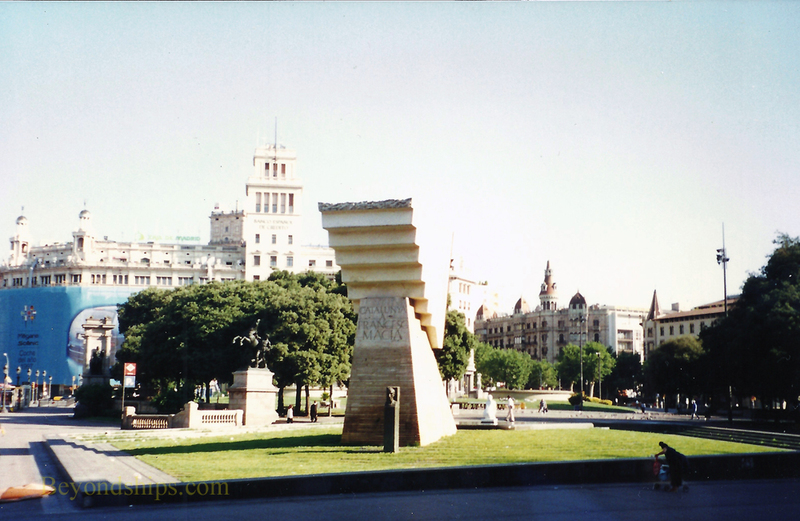 The place where the shuttle bus from the cruise port drops off passengers is the Christopher Columbus Monument and so it is a good starting point for our look at some of the attractions and places of interest in Barcelona. Located by the old harbor, the Monument is said to be where in 1493 Columbus came ashore on his return from discovering the New World. It is impossible to miss the Monument. It consists of a 197 foot tall cast iron column with a statue of Columbus atop. Columbus is pointing out to sea but oddly not in the direction of the New World. The Monument was erected for the Universal Exhibition in 1888. 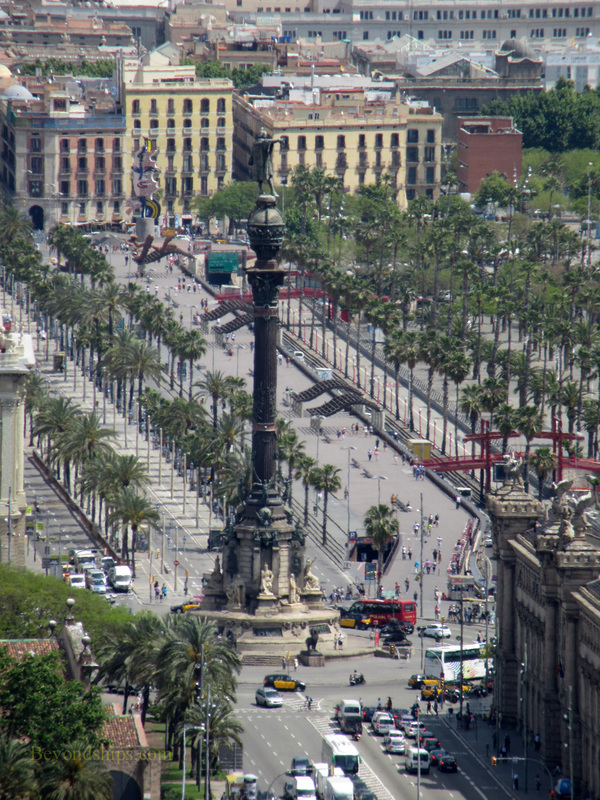 The Monument sits at the base of La Rambla, the most famous street in Barcelona. Originally, it was the course of a small river. Over time various buildings were erected along the river and when the city walls were demolished in the 19th century, more buildings grew up along the path of the now dried up river. Today the middle of the street is a pedestrian mall. Locals like to stroll along the street looking at the shops, the cafes and the people. The Mareat de la Boqueria is the most popular food market on La Rambla with stalls housed in a large 19th century structure. 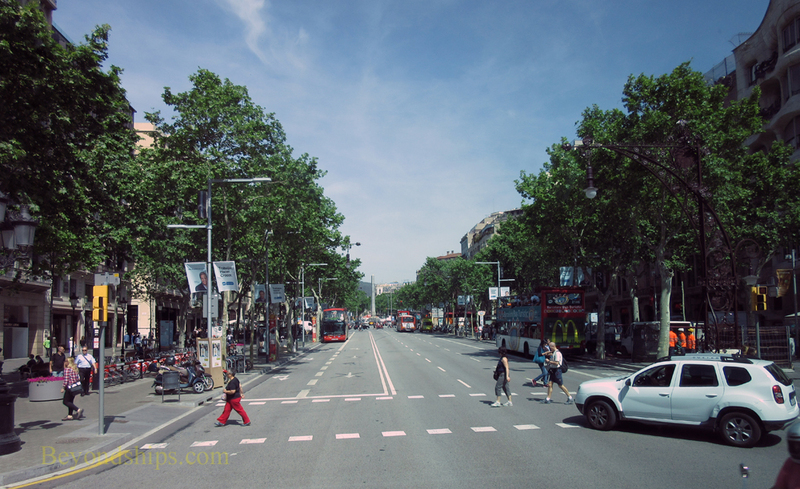 Although La Rambla is a single street, it has five sections or rambla and so it is sometimes called Las Ramblas. 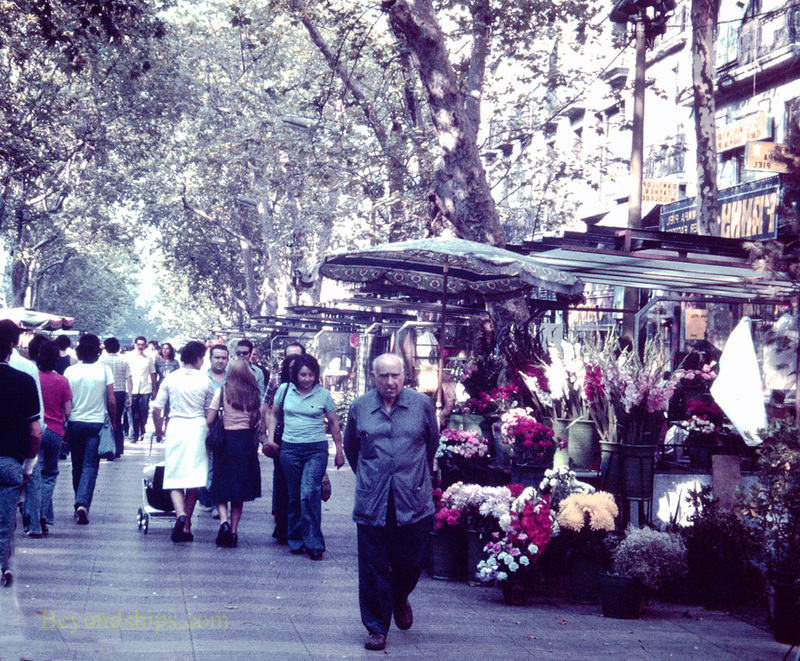 Below: Another one of Barcelona's most important streets the Paseig de Gracia. La Rambla eventually ends at the Placa de Cataunya, a large square with big buildings surrounding it. In the center of the square are a series of sculptures that are seemingly laid out randomly. The large moder statue is the Monument to Franese Macia, the first president of the Generalitat, the Catalan government. Running out of the Palaca de Catalunya is another major street, Paseig de Batilo. Along this street are several examples of Modernisme architecture - - Barcelona's take on Art Nouveau. 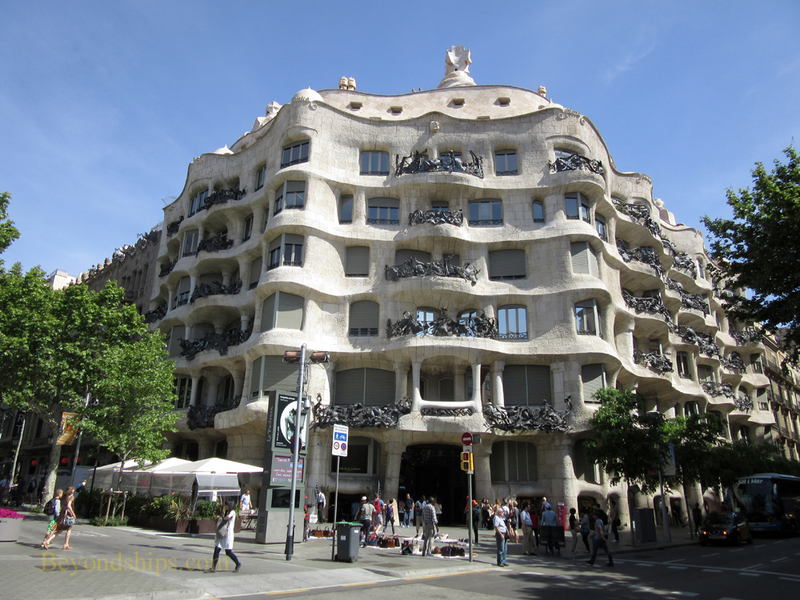 Two of Catalan architect Antoni Gaudi's best known buildings are on Passeig de Garcia. In 1904, Gaudi extensively re-modeled an existing house for Josep Batilo. The result was Casa Batilo known for its flowing stoenwork and irregular oval windows. A few years later, Gaudi built Casa Mila, better known as La Pedreria. Like Casa Bitilo, it is in the Modernisme style with undulating stone walls and twisted wrought iron embellishments. Above: The Monument to Franese Macia in Placa de Cataunya. Below: Antoni Gaudi's Le Pedreria.